A great landscape is built from the ground up. Insects and other pests present one of the most ruthless threats to your gorgeous, healthy commercial or residential lawn. Preventing future infestations and stopping pests that have already found their way to your lawn is a necessary service that our team at Jay-Lan is happy and qualified to provide. Why Invest in Insect Control? Insects present a wide array of threats that reach farther than a simple backyard barbecue annoyance. Some insects, if allowed to thrive in a lawn, can destroy grass at both the tips and the roots — sometimes destroying entire patches of your lawn. Insect control, when administered by trained professionals, can protect lawns from unsightly and expensive damage. The frustration of lawn insects and pests don’t stop there — some can even move from your lawn to your home or business. This can cause cleanliness issues, health problems, and expensive mitigation. 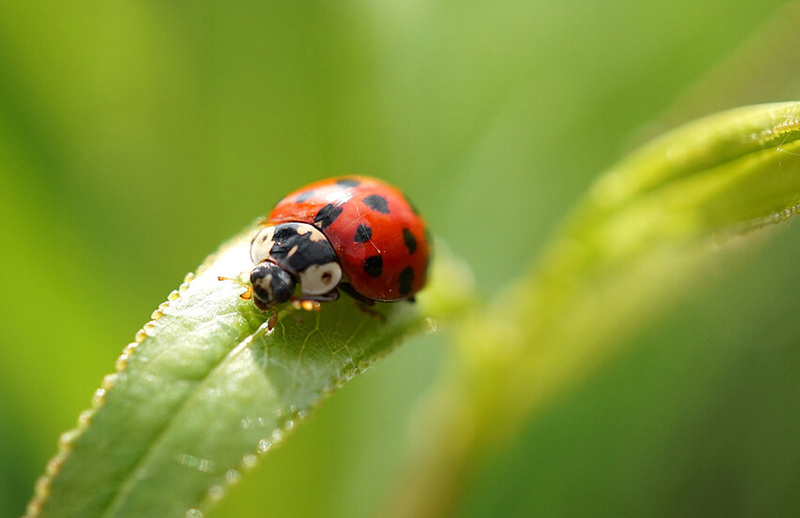 Even your pets can suffer from the presence of certain pests if insect control is neglected. Siouxland Insect Control That Won't Let You Down? When it comes to lawn pests and insects, there’s no substitute for experience. After assessing your needs, our expert technicians will strategically apply high-quality pesticides in order to protect your thriving lawn from a devastating infestation. Hiring a commercial or residential lawn care company to evaluate and maintain your lawn will save you countless hours of your precious time. It seems odd to say that paying for something will save you money, but in this case it makes sense. To properly fertilize, aerate, and apply lawn chemicals, you will need to purchase costly equipment that requires regular maintenance and upkeep. Jay-Lan Lawn Care has over 40 years of experience. This means that our technicians are fully-versed in lawn chemicals, pesticides, fertilizer, local climate, local soil, and regional growing seasons. Dependable weed control, high-quality lawn chemicals. Regularly overseeding your lawn will help to fill in thinning patches. Learn why you should use professional fertilizer application. We look forward to working with you and making your ideas come true!